Unibet has selected some of their best slots for their latest promo – a £150,000 Unibet daily spins tournament. It comes with a different game and a new £5,000 prize pool every day – and since it’s a lucky spin tournament, anyone can win big! The promotion will run throughout April, and includes games such as Viking Runecraft, Rise of Olympus, Moon Princess and Book of Dead. So you can be sure that each day there will be a thrilling, action-packed slot for you to enjoy. £300,000 Casino Slot Festival at Unibet! The brand new Casino Slot Festival at Unibet Casino comes with so many chances to win it had to be split into two different promotions! In March, a £100,000 Prize Draw and a weekly £50,000 Lucky Spin Tournament awaits – adding up to a total prize pool of £300,000! 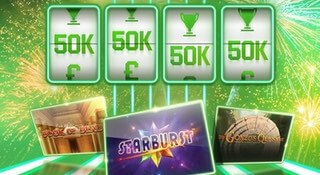 For the £100,000 prize draw, you will collect tickets by playing slots at Unibet. Simply spend £100 on any slot (yes, every single slot in the casino is included in the promotion!) and you’ll be awarded with a ticket. You’ll be able to collect one ticket every day for the whole month – and the more tickets you have, the bigger are your chances of winning! As if the £100,000 Prize Draw wasn’t enough, there’s also an additional £200,000 to be won in March in the weekly tournaments! Each week, £50,000 will be in the prize pool that 500 lucky players will get to share. Opt-in is required, and the tournament only includes selected slots. Each tournament will reward the players with the highest equalised win over one round. All spins that are worth £0,10 or more will count towards the promotion! You don’t usually get second chances with Live Casino – but that’s exactly what Unibet is giving you. Their latest £40,000 Beginning of the month tournament is here, and by playing in the Live Casino you can win a share of the £20,000 prize pool! You need to opt in to the tournament over at Unibet Casino in order to have a chance to win. The top list of this tournament is based on turnover, so make sure to take your chance to enjoy the games in the Live Casino section while you’re at it! There is a prize pool of £20,000 waiting – with a top prize of £5,000! It is the players that finish in the top 100 of the top list that will get to share the £20,000 prize pool. All wagers you place in the Live Casino that are worth at least £0,1 will turn into points on the top list. 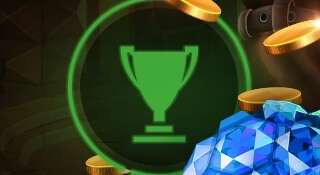 If you’re one of the players to finish in the top 100, you will be awarded with a great cash prize! If not, make sure to at least finish in the top 200 – and you can still win some cash! All players in the top 200 will be awarded with raffle tickets into a draw that will take place on July 16th. There, 20 lucky players will win £1000 each! Unibet Casino is back with a brand new Dayly Jackpot Tournament – this time with a prize pool of £50,000. 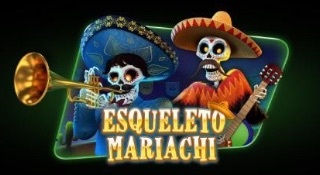 You can play the latest Daily Jackpot Game calles Esqueleto Mariachi – and every slot has Daily Jackpots as well as Rapid Jackpots that will drop more often! The tournament comes with a £10,000 top prize to compete for – how does that sound? You’ll win a share of the £50,000 prize pool by placing among the top 200 players! The tournament comes with great variation, since there are 16 different slots included. You can switch between the different slots as much as you want – choose between Esqueleto Mariachi, Golden Temple, Wild Wild Chest and many more! In order to join the tournament, simply head over to Unibet Casino and Opt-in. Then, play the selected Daily Jackpot games in order to collect points to the leaderboard. The top 200 players with the highest turnover at the end of the tournament will get to share the prize pool of £50,000! Unibet Casino is turning one Monday each month green with cash in their latest Live Casino Tournament, The Colour of Monday. Join the new competition during the first week of each month in order to win a share of its £10,000 prize pool! A prize pool of £10,000 is great – but that’s not all for this tournament! Make sure to put the following Monday in your calendar – because the top 200 players each month will be entered into a prize draw! There, twenty £500 cash prizes will be handed out, and the winners will be announced during a live stream that day! Joining the tournament is really easy, simply head over to Unibet and Opt in to it. Then, play Live Casino between Monday and Friday the first week of every month. The top 100 players with the highest turnover throughout the week will share the monthly prize pool of £10,000 in cash! The top 200 players will also get a raffle ticket to win a share on another £10,000 cash – so don’t forget to tune in on the following Monday as well! Win a year of free bonus money! Unibet’s new Casino Championchips has started – and you have four weeks of action packed slot adventures ahead! Waiting at the finish line is the grand prize for the winner – £10 Free Bonus Money every single day for a year! In order to take part of the Casino Championship, you need to opt-in, and then return each week to opt-in to the four Challenge Rounds. Each Challenge Round starts with Free Spins, and you play for a share of the weekly £10 000 prize pool! Join the Casino Championship, and play the listed games on the below dates to kick off the Challenge Rounds. Look out for the Spin Wheel that appears – its giving away up to 500 free spins! 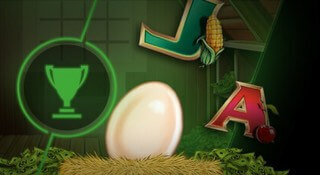 You’ll find the eligible slots for each Challenge Round over at Unibet Casino. The objective is to get the highest equalized win over 20 consecutive rounds. The winner of the Unibet Championship Tournament will recieve £10 Free Money Bonus each day for 365 days! Win a share of £20 000 with Pied Piper! 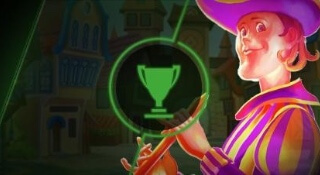 A brand new slot has arrived at Unibet Casino – Pied Piper! The brand new game also comes with the chance for huge wins – trigger the ‘Piper Respins’ feature and move symbols in order to win cash prizes and earn free spins! If you love slot this is the perfect promotion for you – and it comes with the chance of winning up to £3000! Simply opt in to the tournament at Unibet Casino, and play the new slot Pied Piper between Monday 22nd January and Sunday 4th February for your chance to win! 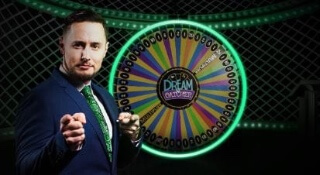 Join Unibet’s Money Wheel tournament! The new Unibet Live Casino experience is up and running – with a Money Wheel tournament. With a live dealer and studio setting, it’s like walking into a brick and mortar Casino. But with the new tourna ment, you can win up to £2500 in cash! The top 50 players in the tournament will get to share the prize pool of £10 000! It’s all based on equalized wins, and placing on th leaderboard is as simple as picking a number and watching the wheel spin! 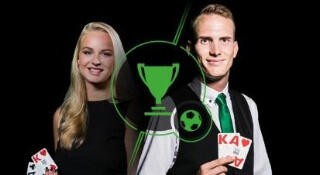 Simply opt in on the tournament at Unibet Casino, and play at least 30 rounds on Live Casino – Grande Money Wheel. £3,000 for the winner at Unibet Casino! There’s a new slot aming the games at Unibet Casino and it’s filled with a lot of fun for the players! The slot gives you not only big wins and loads of fun – it also contains a special feature. The special feature gives you a chance to get a re-spin adjacent reels, and get them to link up with each other. The links can be huge and give you a really big cash out, if you’re lucky! 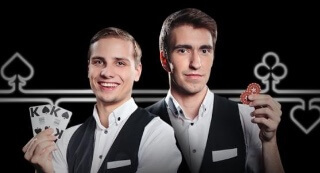 To celebrate the new slot, Unibet Casino has started a tournament for all their players. £3,000 are about to be given out to the players in a slot tournament with Lucky Links as the main event. The prize pool of £20,000 will be distributed to the top 200 players of the tournament. There is only a few, simple steps for you to follow if you would like to have a shot on the first prize of £3,000. First, you need to sign in and opt-in on the tournament at Unibet Casino. This is for your winnings to count. The second step is really simple – go play! 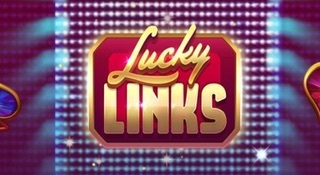 Play the slot Lucky Links, try to get the highest possible wins and connect the links to win more. The third step is enjoying your prize, if you manage to get to the top 200 players. The top 200 players will be the ones with the hoghest equalised win over 20 rounds on the slot. They will share a total of £20,000, with £3,000 to the winner. You’ll find more about the campaign and the race at Unibet Casino, where you’ll also fin the terms and conditions for Unibet Casino and their players. Enjoy! New tables and big giveaway at Unibet! At Unibet Casino, they don’t like to keep their players waiting. So they decided to add five brand new Exclusive Blackjack tables to the Live Casino Rooms for you to enjoy! To celebrate the new tables, Unibet is also launching a tournament and Prize Draw – with a total prize pool of £22,500! Just opt in to the two promotions over at the Casino to participate. In order to win the cash and Apple gadgets that are up for grabs, simply play at the Live Casino tables to move up the leaderboard and collect raffle tickets!